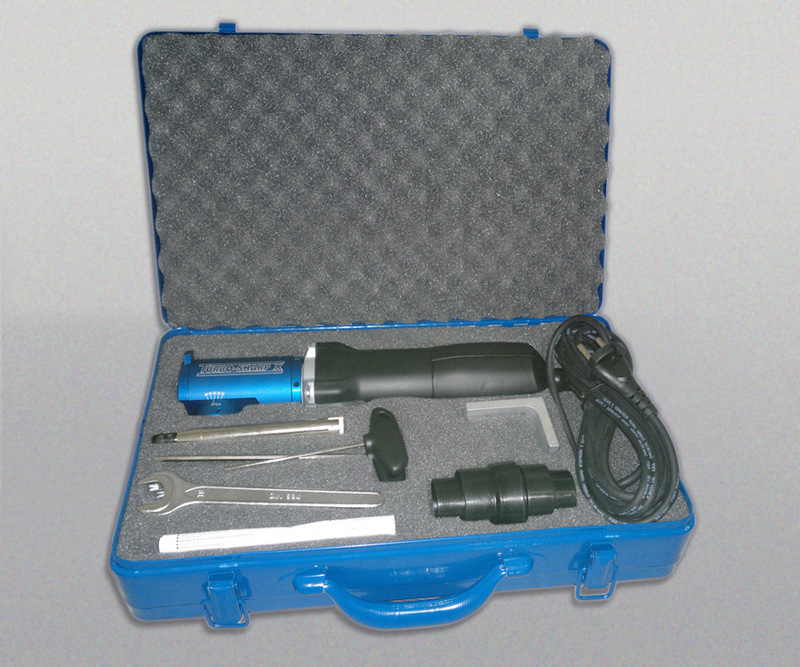 Turbo-Sharp™ V Tungsten Electrode Grinder. Hand-held or bench mounted, the professional grade tungsten grinder is completely enclosed to eliminate exposure to grinding dust and comes with a vacuum attachement for safe, easy cleaning. With a robust electric motor, the Turbo-Sharp™ V comes ready to grind tungsten sizes .040" (1.0mm), 1/16" (1.6mm), 3/32" (2.4mm) and 1/8" (3.2mm). Grind elctrodes as short as 1.5" (38.1mm) long. 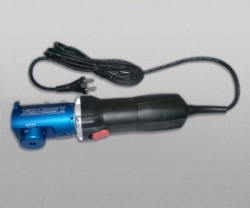 The optional Red Head grinding attachment allows for the grinding of tungsten diameters 5/32" (4.0mm), 3/16" (4.8mm) and 1/4" (6.4mm); and, the optional Short Grinding Wand enables grinding of electrodes as short as 3/4" (19mm) long! Offering repeatable longitudinally ground electrodes from 20-60 degrees, this grinder is perfect as a dedicate grinder for mid-size welding shops, and portable enough for use on job sites; and, with the improved adjustable head, you'll get three times the life from your diamond grinding wheels! 1/16" (1.6mm), 3/32" (2.4mm) & 1/8" (3.2mm). Accessories available for grinding tungsten diameters 5/32" (4.0mm), 3/16" (4.8mm) and 1/4" (6.4mm)! Pen Style Electrode Holder For Grinding Tungsten Lengths as Short as 1.5". Accessories available for grinding lengths as short as 3/4" (19mm) long! Tools For Assembling and Replacement of Grinding Wheel.